I was 39 years old at the time, panicking that I was soon turning 40 in 12 months... I was carrying an extra 20 kilos of weight after becoming a mother. After trying shakes and failed attempts of dieting, I finally realised the only way to loose my weight for my 40th birthday is to MOVE! I started with 5km walks, that eventuated into jogging then running. However the impact on my joints and high heart rate didn't agree with me. That's when I was advised by my friends to buy my first bike! It had been over 16 years since my last bike ride, so I quickly joined the 'She Rides' bike riding course to learn all the beginner skills. I have made so many new local friendships in the past 3 years since taking up bike riding! 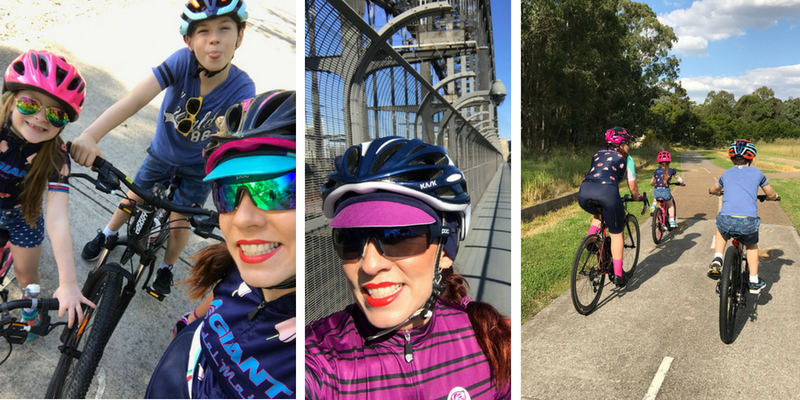 I have joined a local bike club (North Western Sydney Cycling Club), riding with like minded bike addicted friends, that all look out for each other, and whom also enjoy the adventure, scenery and endorphin's guaranteed from every ride! I love the speed, the fresh air, the chance to appreciate the country scenery, the escape from the daily stress and the smile it always puts on my face! Its seriously impossible to be grumpy on a bike. The heart elevation and those yummy happy endorphin's are so addictive ! What did you enjoy about Spring Cycle in the past? Lately I just love any kind of catch up rides with my friends. At the pace that we can chat, laugh, take photos and have a half way coffee! What are some of your highlights in terms of cycling? I enjoyed the competitiveness of racing for a few months last year in 2016, winning a few E grade races. However when I was moved up to D grade, I just couldn't compete with the final sprint power of the men. Although I dread the exhaustion of hills, I tackled some of Adelaide's toughest elevations, including the 'Corkscrew'!